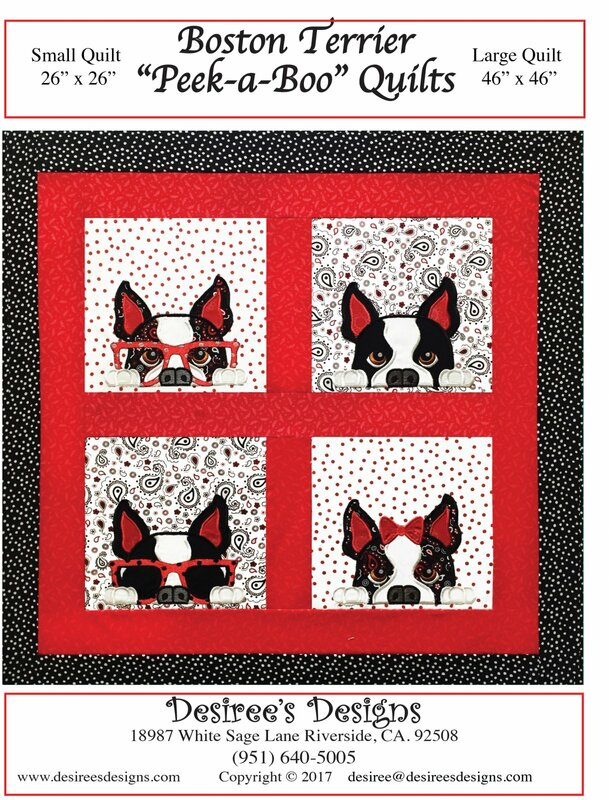 The Peek-a-boo Boston Quilt comes in two sizes so you can make them as a wall hanging, center piece for a table, dog bed, pillow and then a larger quilt size approximately 46"x46" for a baby quilt or add borders and make it even bigger for you! Each Boston has a unique accessory so you can make 4 different dogs or all the same or mix and match. This fun and simple applique quilt will go together quickly with our easy to follow instructions.